Naim CDX2 review | What Hi-Fi? 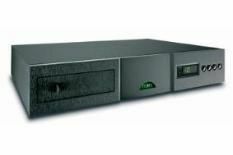 By CD player standards Naim's CDX2 is of pensionable age. It's been on the market for seven years without change, and this revision keeps most of the original player intact. Even the name doesn't officially change, though we notice many people on the web are referring to it as the CDX2.2. The big news is the addition of an electrical digital output. It uses a BNC connector rather than the more common RCA, because Naim believes it sounds better. Unusually, the digital output can be turned off. It's controlled by a rear-mounted switch, which changes the CDX2 from an integrated CD player to a dedicated transport. That's right, you can't get a digital output out of the player unless its analogue outputs are disabled. Optimising sound quality is the reason, again. Other changes include a new four-layer circuit board designed to improve grounding, a better power supply and various tweaks to the CD tray, circuit board mounting and general wiring. The result is a steady refinement of what has gone before. The basic character of the player hasn't changed much: it's still a cohesive, enjoyable listen that concentrates the attention on the whole musical performance rather than emphasising particular instrumental strands. All parts of the frequency range are in balance, in terms of both speed and level. As a result, it charges through Tinchy Stryder's brand of pop with considerable enthusiasm, delivering basslines with verve while keeping the complex production easy to follow. The Naim's controlled and punchy sound is ideal for this kind of music, yet the CDX2 is equally adept at coping with the subtler recordings such as Bach's Cello concertos or the well-recording musings of Bonnie 'Prince' Billie. There's a fine sense of communication with music such as this that makes the artist's musical intentions unambiguous. Like other Naim players, this one is easily upgraded through the addition of an outboard power supplies. The company makes a whole range of these, and used with the range-topping 555PS the CDX2 sounds much bolder and more insightful. Turn this player into a transport and attach an external DAC – we used it with Naim's new DAC as well as alternatives from Cambridge and Bryston – and the CDX2 turns in a fine performance, exhibiting the same good qualities as it does as a player. However, used with an appropriate-quality DAC, it turns into a circa-£5000 two-box CD player, and there are some very tempting machines around at this elevated price level. While we have no doubt this revised CDX2 is better than the original, it has to be noted the competition hasn't stood still, either. It's an accomplished musical performer, but we'd argue that similarly-priced alternatives from Leema and Plinius are massively tempting and we would argue, more insightful, while cheaper alternatives from Cyrus don't make the Naim's life any easier. So four stars it is.